AZ Screen Recorder is one of the most popular apps of its type on Android. As the name suggests, it is used to record or snap screen activity. The main reason for its popularity is that it doesn’t require root access. The app lets you record your screen in HD without any time limit, ads or watermarks and the app itself is very easy to use. It’s also the only application for screen-casting that can be paused and resumed between the recording. AZ Screen Recorder for PC, Windows and Mac is also available now and installing it on your computer only takes a few simple steps. Although the popular Android app is not available officially on Windows or Mac OS, there is an easy workaround to that problem which will be discussed in this piece. 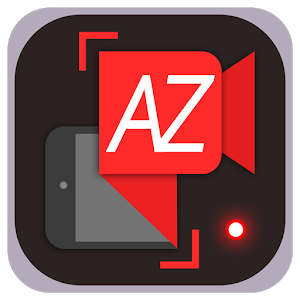 There are many screen recording apps available on the Play Store and even outside the official app store, but none compares to the AZ Screen Recorder. It allows users to screen cast videos and offers tons of features and a very simple user interface without requiring any root access. This app was developed by Hecorat and has been featured on Google Play Home Page, Yahoo! News, Android Central, Android Police, Droid Life and many more authoritative sites and blogs on Android apps. It has around 50 million installs and has an average rating of 4.6 on the Play Store based on around 5 million user reviews. The Android app can also record audio from the mic in sync with the screencast videos. This feature makes it the perfect app for creating tutorials, gameplay videos and promotional videos on your phone. It also lets you record video chats if you want to record video lectures or simply share fun conversations with friends on social media. In the app interface, the floating window stays on top, so you can snap the exact moment you want. While recording, you can set the desired resolution, orientation, bit rate and customized timer for the stop. You can save the video in your preferred directory and view, share and delete the videos. The best part is that the AZ Screen Recorder offers all these features for free. Screen taps can be enabled so the people watching the screencasts know exactly what you’re doing. You can adjust video resolution, frame rate, bitrate, screen orientation, time lapse, video speed and saving directory. You can set a timer for the screen recording to stop when the time runs out. You can enable time countdown and recording time as well. AZ Screen Recorder offers a blinking red dot feature, so you can use a single tap to pause and resume and a double tap to stop it. You can view and share the recorded videos right away and delete them as well. The screencasting app also lets you add a logo and text to your recorded video. It also records audio from the phone’s mic in perfect sync with the screencast. While all these features are great and available free of cost, AZ Screen Recorder does offer some extra features if you upgrade to the Pro version. If you enjoy using the app or benefit from it, do consider upgrading as you will be helping the developers out. AZ Screen Recorder offers a Pro version for those willing to donate in order to get some extra features such as a magic button, video trimming, and overlay front camera. The magic button is a small button that lets you control the screencast without having to show anything. This feature is helpful if you want your viewers to only focus on the app, game, tutorial or whatever else you’re screencasting. Recording a screencast may often take several takes and sometimes may end up being very long. With the trim feature, you can cut out parts of the video to make it a well-edited piece altogether. Using the mobile’s front camera, you can record your face as well as you provide instructions or offer commentary and put it in a small overlay window. This feature lets you drag the overlay around freely and customize its size and opacity. Overall, the AZ Screen Recorder offers a great set of features and with the Pro version, you can get the extra features you need to kickstart your tutorial series. You can also use the AZ Screen Recorder for your PC or laptop and utilize the same screencasting features that you get on the Android version. On a PC as well, it lets you record screencasts in HD and you can set the parameters such as screen resolution, bitrate, frame rate, screen orientation, and video speed. Moreover, you can record your voice and add text or logo to the screencast just like in the Android version. AZ Screen Recorder also offers features such as trimming, cropping, and frame extraction and you can replace the audio on the screencast as well. With this app, you can convert a screencast to GIF and draw on the screen as well. You can also set a countdown timer before the recording starts so that you can prepare yourself. While the AZ Screen Recorder for PC is not available officially, it can still be run on your laptop or PC, regardless of the OS. It’s compatible with Mac OS and the latest as well as the old editions of Windows such as Windows 10, 8.1, 8, 7 XP, and Vista. To use the app on your PC, you will have to download its APK, but before you do that, you will have to set up an Android emulator so that it can run the APK file. There are several emulators available online for free and can be downloaded from their official websites. Android emulators such as Bluestacks, YouWave, Nox App Player, and Andyroid are very popular, and you can download any one of them to use the AZ Screen Recorder on PC or laptop. For the purpose of this tutorial, we have opted for Bluestacks and detailed how to download it as well. If you want to use another Android emulator, the steps to download it will still be more or less the same. Download Bluestacks setup file from the official site. You can also find the .exe file on several hosting sites. Run the setup file to install the Bluestacks emulator on your PC. Once installed, you will need to sign up with a Google account. Since the AZ Screen Recorder APK is available officially on the Play Store, you can search for the app in the Bluestacks search bar. Once the app shows up in the result, you can click on install to download it on your PC. The emulator will download and install the app and you can find it in the My Apps tab of Bluestacks. Run the app and use it to record your screen and to avail all the other features. As you can see, these steps are pretty easy to follow and will let you use AZ Screen Recorder for PC and laptop without any trouble. The method is same for PCs and laptops running on Mac OS as well. Follow the same steps and install an Android emulator before installing the APK file of the AZ Screen Recorder. If you’re looking to run a previous version of the AZ Screen Recorder, you can add the APK externally to the Bluestacks emulator. There’s no debate that the AZ Screen Recorder is one of the best screen recording tools available online for free. The developers behind it have built a simple, easy-to-use and highly efficient app, and advanced users can also avail the Pro features. It has received widespread acclaim from several authorities on Android apps and games. What makes the AZ Screen Recorder so popular is that all the features it offers are free and extremely easy to use. It’s very easy to get the hang of, and you should to try it at least once if you frequently need to record screencasts. You can now also use the AZ Screen Recorder app for PC and laptop on both Windows and Mac OS. Follow the simple steps given above to download and install the app and start recording screencasts right away on your laptop.